I was on Facebook one day and saw a post in which someone used the R-word, which greatly offended me. The context it was used in was like an everyday chat, with the person referring to something as “so retarded.” I decided to message this person and tell them my feelings on the R-word — how it doesn’t just offend me, but also many others, including those with intellectual and developmental disabilities (IDD) and their families. I got a response back, saying they didn’t mean it in an offensive way and that they support those who have IDD. In response, I posted the link to the R-word website and asked them to read through it very carefully so they would be able to obtain a full understanding of the impact this word has. Sydney Alexis Franklin, an inline speed skater and Certified Roll Model for the Speed Revolution program, saw this post and decided to take action. She decided to post the link to the R-word site on her Facebook page, telling followers that she’d made the pledge to stop using the word and was taking it out of her vocabulary. She explained how this word is offensive and hateful and that she wanted all her friends to help join her in also taking the pledge. 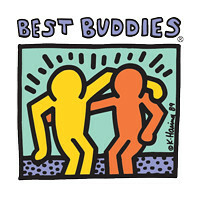 This occurrence gave me the idea to bring Special Olympics & Best Buddies together for the 2012 National Inline Speed Skating Championship event, in an effort to raise awareness for the R-Word campaign. I called Special Olympics’ national office and they agreed 100 percent that using the National Championship as a platform for focus on the R-word was a great way to go. I proceeded to reach out to Best Buddies and Special Olympics Nebraska to get some athletes to help do a demonstration on skates, mixing the R-word campaign into it all. The event’s opening ceremonies featured two male athletes, who skated a 100-meter race, and Mary Leigh, a blind skater– who with the aid of my voice commands –completed a 25-meter straight line race. These inspiring athletes brought tears to everyone’s eyes, creating quite the overwhelming response. After Mary finished her race, she was recognized as a Certified Roll Model by Annette Heywood Stapleton, Co-Founder of the Roll Model program. Mary was awarded this title for showing the true spirit of the sport, inspiring success for female athletes, and overcoming barriers. 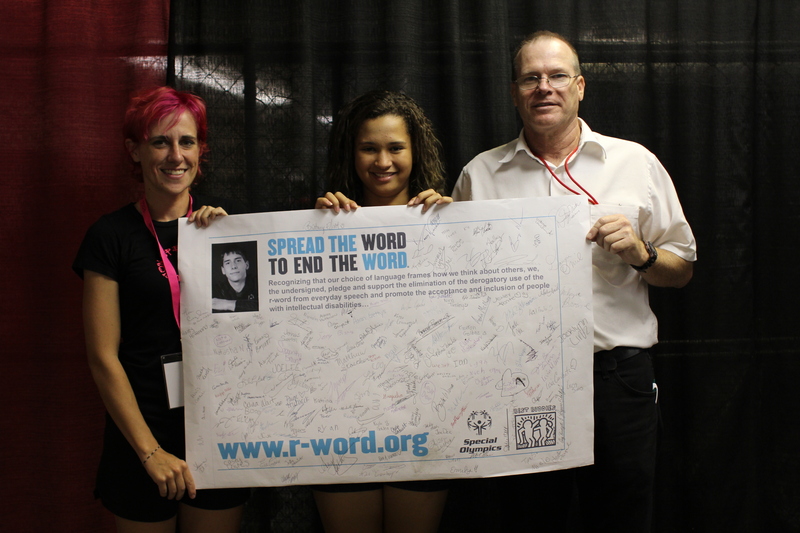 As the event came to a close, Sydney Alexis Franklin came forward and asked that everyone pledge to not use the R-word by signing the Spread the Word to End the Word banner. The crowd all gathered around and signed the poster, which became entirely filled with signatures. I was beyond thrilled by all of the positive feedback that poured in and by the tremendous awareness we were able to raise as a result of this event. Learn more about the Spread the Word to End the Word campaign and take the pledge at www.r-word.org. Great job, George! You’ve inspired so many to speak out against the r-word. You’re a champ!